In developed countries across the world, healthcare spending is rising steadily as ageing populations, an epidemic of chronic disease, advances in biomedical knowledge, increased digital healthcare innovations and higher public expectations place additional demands on services. In Australia, for example, health expenditure rose by an average of 5% a year in real terms over the last decade, outstripping GDP growth of 2.8%. In locations worldwide, healthcare delivery systems are now reaching breaking-point and there is an urgent need to develop new working practices innovative business and funding models. The University of Queensland (UQ) Business School’s experts bring new perspectives to this debate. With backgrounds in areas such as innovation, management, strategy, marketing, finance, accounting, information systems, economics and technology, they work alongside clinicians and healthcare leaders to help address the challenges in the Future of Health. Through our work with private and public healthcare providers, patients and families, we are internationally recognised as thought leaders in the healthcare sector. The Future of Health initiative draws together the School’s expertise across different disciplines to help transform healthcare delivery for the benefit of patients and society at large. Business School academics who span management, strategy, business information systems, and accounting work together to improve the quality and impact of research related to the future of health. UQ Business School experts plan and execute impactful research to lead change in healthcare delivery and plan for future-focused health innovations. Our researchers and academics have deep relationships with industry partners at a public, private and not-for-profit level, also engaging and influencing key policymakers. 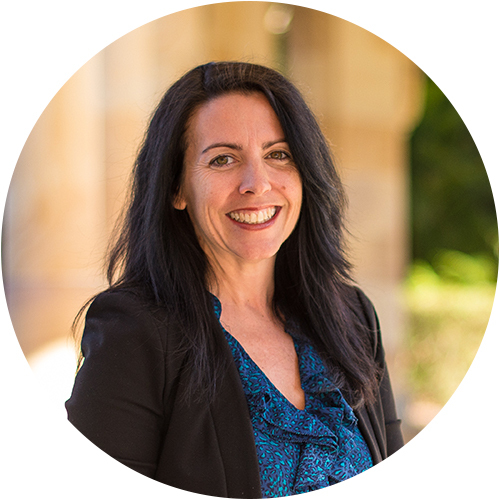 Associate Professor Nicole Gillespie – Adoption of virtual health services, change management, trust in health services, leadership. Our research on the Future of Health has a strong focus on being industry-relevant and high-impact, benefiting stakeholders in the health sector. We provide insights and encourage engagement with leading healthcare providers and policymakers at a local and global level. 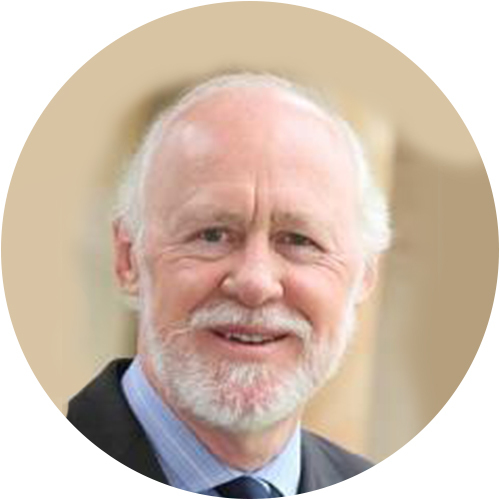 The work of UQ Business School offers unique value to healthcare providers, complimenting health driven research outcomes from clinical trials. Practitioners place high-value on the different methods and insights we bring. Our research offers insights into leadership and change management in health organisations, to transform the way healthcare is delivered. Our researchers specialise in organisational development, innovation and corporate governance practices that have future-focused healthcare impact. Projects include evaluations for the State Government into the delivery of new models of mental healthcare services. Digital technologies have the power to transform healthcare delivery, reduce costs and save lives. However globally, its uptake has been slow and fraught with problems. UQ Business School is at the forefront in helping organisations to harness the potential of digital in healthcare, develop new strategies, create more effective models of care and introduce health innovations. 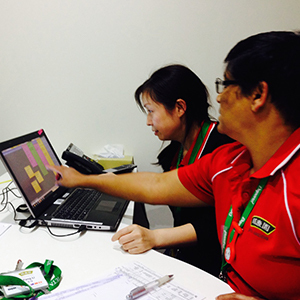 Our researchers are currently assessing the transformation of Brisbane’s Princess Alexandra Hospital and other flagship IT projects, identifying lessons for others. Patients are at the heart of the healthcare system, so it is critical to understand and support their needs. 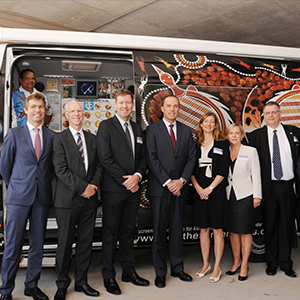 UQ Business School experts work with healthcare providers for the delivery of services to diverse groups including rural and remote patients, Indigenous Australians, children, and the elderly to find better ways to address their needs and improve uptake of technology-driven healthcare delivery modes (i.e. telehealth) and patient care platforms (i.e. virtual reality; gamification). Funding is one of the biggest constraints facing healthcare providers. Our research looks at how best to develop and assess new funding models, invest in new innovative healthcare services, incentivise staff and implement management control systems in healthcare organisations. UQ Business School’s research expertise complements that of The University of Queensland, which is a global leader in improving the health of populations. Business school staff are involved in projects for UQ’s Centre for the Business and Economics of Health and Centre for Research Excellence in Telehealth, Centre for Research in Telerehabilitation, the Centre for Online Health (based at PA Hospital), the UQ Centre for Health Services Research, RECOVER Injury Research Centre and the Digital Health CRC. maintenance of exercise of people with COPD. UQ Faculty of Health and Behavioural Sciences and Metro North Hospital and Health Sciences (CISS) Research Collaboration Seeding Grant $39 535. 2017 – 2020 Home Telehealth Adoption in the Aging Population: Consumer Perspectives. Researchers: Trevor Russell, Deborah Theodoros, Nicole Gillespie, Nicole Hartley, Len Gray, Anne Hill. 2017 – 2020 Improving quality of care for people with dementia in the acute care setting. NHMRC Boosting Dementia Research Grants $1.86m. Researchers: Melinda Martin-Khan, Len Gray, Nancye Peel, John Hirdes, Amanda Henderson, Elaine Pascoe, Nicole Gillespie, Brant Fries, Veronique Boscart, Julia Crilly. 2017 – 2019 Understanding and Improving the Effective Use of Electronic Medical Records. UQ Development Fellow (Strategic Research Fellowship) Teaching release. 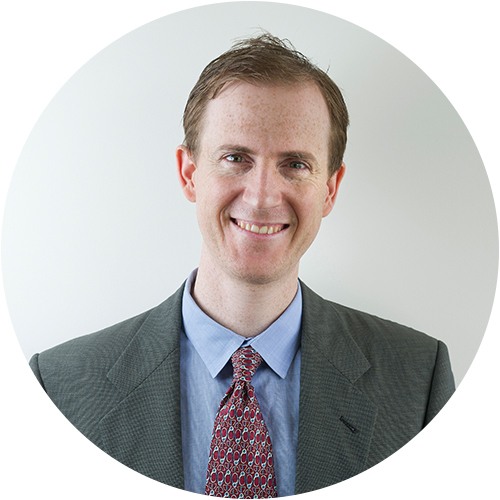 Researcher: Professor Andrew Burton- Jones. 2017 – 2019 Using Electronic Medical Records Effectively and Aligning to a Digital Healthcare Vision. 2016 – 2020 Evidence-based Approach to Evaluating Strategic Transformation. Mater Misericordiae Ltd $300 000. Researchers: Andrew Burton-Jones, Victor Callan (CBEH). 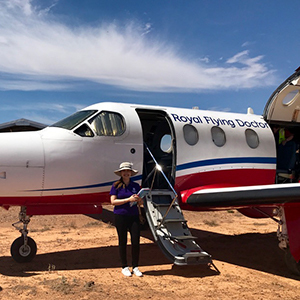 A Controlled Trial within the Royal Flying Doctor Service. NHMRC Partnership Grant $465 165 + matched funding from RFDS. Researchers: Len Gray, Anthony Smith, Jenny Whitty, Elaine Pascoe, Geoffery Mitchell, Trevor Russell, Nicole Gillespie, Oscar Whitehead, Anita Hansen. 2016 – 2018 20 Modelling Multidimensional Multiparty Decisions to Improve Outcomes for Customers and Service Providers: New Theory and Measurement Tools. ARC Discovery Grant $330 000. Researchers: Janet McColl-Kennedy, Len Coote, Claire Wainwright, Scott Bell, Michael Brady. 2016 – 2018 Redesigning skin cancer early detection and care. NH&MRC Partnership Grant $596 600 ($178 259 UQ). Researchers: Monika Janda, Peter Soyer, Lois Loescher, Nicole Gillespie, Dimitrios Vagenas. 2015 – 2018 Examining the Effectiveness of Patient-centred Practices on Health Outcomes. ARC Linkage Grant $1.1 million (including $180 00 from ARC). Researchers: Pennie Frow, Janet McColl- Kennedy, Adrian Payne. 2015 – 2018 A Telehealth Framework for BushKids. Researchers: Deborah Theodoros, Trevor Russell, Nicole Gillespie, Nicole Hartley, Annie Hill. 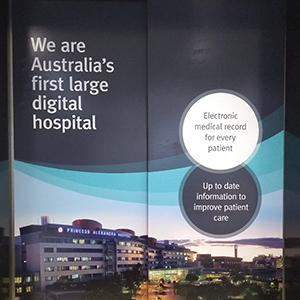 2014 – 2018 The Centre of Excellence in Telehealth. NHMRC Centre for Research Excellence Grant $2,495,357 over 5 years (3 year PhD scholarship and 3 year half time post-doc funding to UQBS). Researchers: L. Gray, D. Theodoras, A Smith, N. Gillespie, N. Hayman, T. Russell, P. Soyer, & J. Whitty.